Source: Aviation New Zealand and Wellington Helicopters, 2018. Chances of getting a job as a helicopter pilot are poor for those wanting to enter the role, but good for those with experience. >2 years of training usually required. Pay for helicopter pilots varies depending on skills, experience and their employer. Entry-level helicopter pilots earn about $41,000 a year (based on a 40-hour week), though many only work part time when first starting so may earn less than this. Helicopter pilots with three to five years' experience can expect to earn between $45,000 and $80,000. Senior helicopter pilots may earn $100,000 to $180,000 or more. write reports and keep a flight log. carry large buckets or tanks of water to put out fires. may travel nationally or internationally for work. Flying passengers to, and guiding tours around, White Island – New Zealand's most active volcano – is all in a day's work for helicopter pilot Kyhala Miller. "A good part of our job is guiding various walks and giving commentaries. We have learnt about Māori culture and stories, so we can explain more about the significance of the region to our passengers." "It's demanding giving a commentary while flying the aircraft and listening to the tower and other traffic. I make my passengers aware of this – finding that balance was something I had to learn initially." Kyhala had to adjust to working in the tourist industry with its busy season. "During the summer, staff may be closing up to go home and customers walk into the office and ask for a flight. Then it's a case of making hay while the sun shines." But it's the clients that make the job for Kyhala. "They are so thankful – it's quite humbling and makes you realise what a great career it is." To become a helicopter pilot you need to have a Commercial Pilot Licence – Helicopter (CPL-H). Training to become a helicopter pilot can be done through private flight schools or with the NZ Air Force and Navy. There are no specific secondary education requirements to become a helicopter pilot, but NCEA Level 3 English, maths, physics and computing are useful. For specialised roles, such as firefighter helicopter pilot, more flying hours and experience is required. good at following procedures and paying attention to detail. Helicopter pilots need to have good hearing and eyesight (with or without corrective lenses), and good reflexes and co-ordination. They must also have a good level of fitness and health. They need to pass a medical exam every year. Opportunities for new helicopter pilots are poor due to a small number of vacancies, and an oversupply of graduates. Because of this, many people who graduate with helicopter pilot licences do not go on to work in the role. For entry-level pilots, your best chance is to work in a ground crew position (often part time) for a helicopter operator, and slowly gain more flying hours and trust from the employer until a pilot position becomes available. Over 2,200 New Zealanders have a Commercial Pilot Licence – Helicopter, according to the Civil Aviation Authority of New Zealand. As employers are looking for experienced helicopter pilots, demand is highest for those who have completed a large number of flight hours. New Zealand helicopter pilots are well regarded internationally because of their experience flying in New Zealand's harsh weather conditions and mountainous environment. Because of the limited opportunities in New Zealand, many travel overseas to find work. However, helicopter pilots need an aviation licence for the country they work in, so they must pass more tests before they can work overseas. Most helicopter operators in New Zealand are small companies employing fewer than 10 staff. Some are owner-operators. Only a few larger companies have 30 staff or more. They may also work as instructors at flying schools or for the Royal NZ Air Force or Navy. Alexander, G, training and development chair, Aviation New Zealand, Careers Directorate – Tertiary Education Commission interview, February 2018. Civil Aviation Authority of New Zealand, 'Pilot licence statistics', accessed March 2018, (www.caa.govt.nz). Daniel, D, base manager/pilot, Wellington Helicopters Limited, Careers Directorate – Tertiary Education Commission interview, February 2018. MacGregor, B, executive officer, Aviation New Zealand, Careers Directorate – Tertiary Education Commission interview, February 2018. Helicopter pilots may progress to be flying instructors, move into managerial positions or set up their own helicopter businesses. Agricultural helicopter pilots apply agricultural chemicals or fertiliser to farmland. They fly close to the ground and need to have knowledge of chemicals/fertilisers. 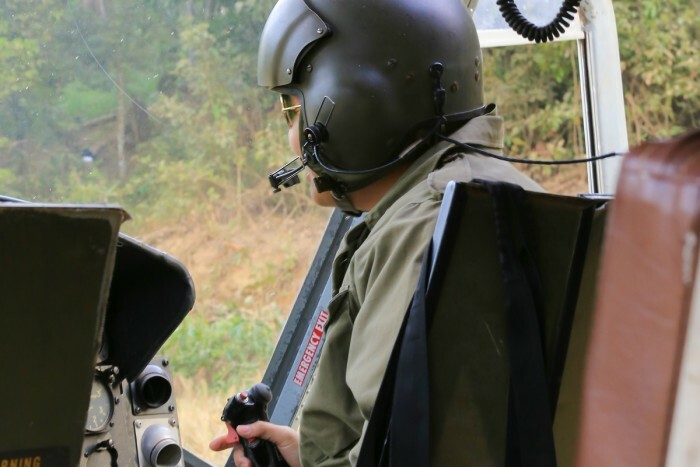 Air Force/Navy helicopter pilots fly military helicopters for the armed services. Charter helicopter pilots fly for various industries including oil and gas, tourism and forestry. Firefighter helicopter pilots put out large fires such as bush fires. They need to be very skilled as they fly in smoky, dangerous conditions. Mustering helicopter pilots help round up animals, such as sheep or horses, for farmers. They need to know about animal care and farming. Rescue helicopter pilots work with search and rescue services and fly people to hospital or between hospitals. They need to be very skilled as conditions are often dangerous, particularly in winter months.